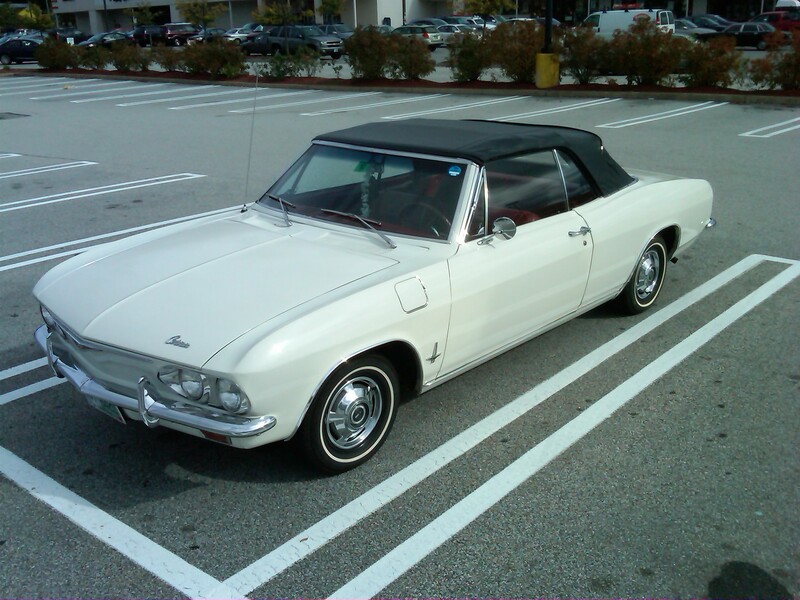 It’s not every day that you see a Chevrolet Corvair chillin’ in the parking lot of a Hannafords. Or anywhere for that matter. When the Corvair hit the showroom in 1960, it was the only rear-engined, air cooled American car on the market, and it was awarded Motor Trend magazine’s Car of the Year award. Throughout it’s lifetime, the Corvair spawned a multitude of different variants including the convertible pictured here, a coupe, a panel van, a hotted up and turbocharged “Monza” version, among others. Performance, especially handling, was not the Corvair’s forte. In fact, GM faced lawsuits because of suspected unsafe handling due to it’s swing axle rear suspension setup. The car has an interesting history that’s definitely worth reading about. In the meantime, check out the photo below! Would love to have read more.